Elliot Easton wrote: Yes, Semie built this, the only 5-string Mosrite bass that I know of, for Ben Orr. Way. It was a matching set of 3 guitars-mine was a red 3 pickup hardtail! I wish I had a photo of that one and also the blue Mark I he made for me: on the shaded blue headstock, instead of a Ventures logo he created one especially for me. It had my name but the 2 E's of my first and last names were speakers with blaring sound waves coming out! Man, I wish I'd kept that one! Photo isn't displaying, but I can't wait until it is! Interesting artwork! 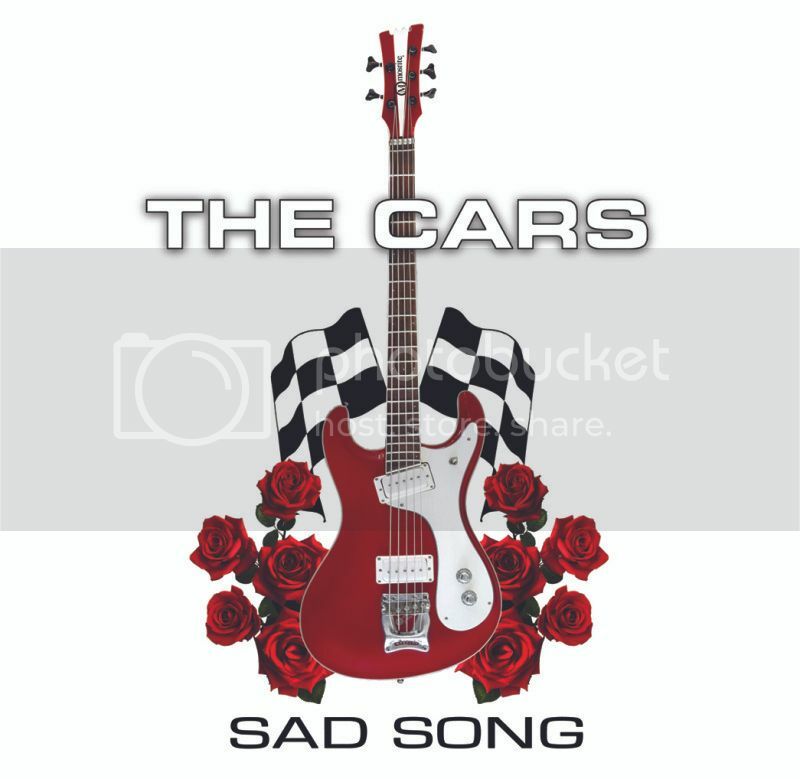 Always loved The Cars & still do. Can't believe no one asked about The New Cars! Any idea where the bass is now? yes, i believe it is now in the possession of our drummer, david robinson. Hmmm. Must be an Internet Explorer thing, because it displays in Firefox. And, wow! That's amazing! Did Ben use it on any recordings or at live shows? MWaldorf wrote: Hmmm. Must be an Internet Explorer thing, because it displays in Firefox. And, wow! That's amazing! Did Ben use it on any recordings or at live shows? i'm pretty sure it arrived after our final album together was completed so i don't think it made it onto any cars recordings. i remember him playing it in rehearsals for the last tour. he might have taken it on the road and played a few songs on it. that seems to ring a bell. i also seem to remember that the low string was a low B and that the short scale wasn't doing that string any favors! i also seem to remember that the low string was a low B and that the short scale wasn't doing that string any favors! That's funny, but the cool looks of it almost make up for it! to serve as tone control for the newly added bridge pick-up. Notice too, the absence still of a tone switch near the treble horn. i would have thought the third knob would have been a second volume, giving the bass separate volume controls, no? OK, now I'm totally confused...I had thought that the first 2 knobs were your master volume and tone controls. The third, I thought was a 'blend' knob between the 2 p'ups, before the p'up selector switch came into play......??? Guitar-geeking my way across the internet at 3:57 AM leads me to this great thread; thanks to all who've posted. Here's my January 1965 gold Mosrite non-Ventures bass with matching gold headstock (as well as gold back-of-the-headstock), tapered knobs, cloverleaf Klusons w/ slotted center screws, and the early-style neckplate that doesn't bolt all the way through. I've never found out why the serial # is 0001, but it's a great bass.